My Mom recently asked me to help her look for a new watch. She was interested in a Michael Kors watch but didn't want to spend much more than 100$. I also feel as though Michael Kors watches aren't very well made for their price. 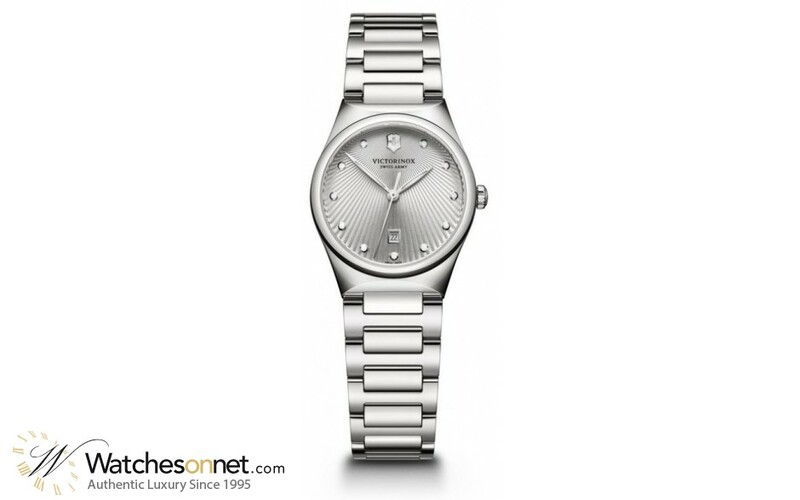 So my question to you all is what is a good quality women's watch for around 100$? My best suggestions are Citizen eco-drives and Victorinox Swiss Army quartz watches. redwrwf and ffritz like this. I don't normally bash too hard on fashion watch brands for women, but I've seen some bad quality issues with MK. I think VSA and Citizen are solid choices. Citizen is probably more conservative while Victorinox is sufficiently conservative yet readable. It won't be on the extreme end of conservative for a ladies' watch though. I'd also throw Bulova into the mix. They have good options right at the $100 price point. Seiko is fine as well but I haven't been as impressed by Seiko lately as I have with Bulova. I'll add another vote for Victorinox. My mother's had her Victorinox for probably close to a decade at this point, and the examinations I've given it (the work I've had to do on it has, if I remember correctly, been blessedly limited to telling her what the end-of-life warning meant) have genuinely impressed me. Solid construction with good attention to detail, and styled quite well. "Mechanical watches are so brilliantly unnecessary. 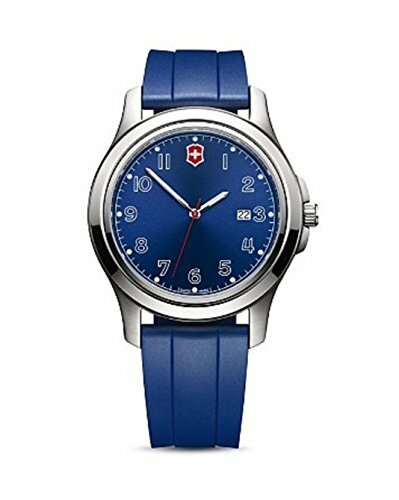 Any Swatch or Casio keeps better time, and high-end contemporary Swiss watches are priced like small cars. But mechanical watches partake of what my friend...calls the Tamagotchi Gesture. They're pointless in a particularly needful way; they're comforting precisely because they require tending. And vintage mechanical watches are among the very finest fossils of the predigital age. Each one is a miniature world unto itself, a tiny functioning mechanism, a congeries of minute and mysterious moving parts. Moving parts! And consequently these watches are, in a sense, alive. They have heartbeats. They seem to respond, Tamagotchi-like, to 'love,' in the form, usually, of the expensive ministrations of specialist technicians. Like ancient steam tractors or Vincent motorcycles, they can be painstakingly restored from virtually any stage of ruin." I bought a ton of watches in this price range for my wife's birthday a couple years ago. Basically let her pick and returned the rest. I would also recommend you to check Long Island Watch. Marc is a super person to deal with. LIW has a good selection for women that is very affordable for any budget. My wife likes the timex weekender because she can change the straps. Get your mum to look at Eco-Drives. Take a look at MVMT watches. They got started on Indiegogo and retail for about $115. They are minimalist watches with clean lines. I've gotten several compliments and people tend to think it's a more expensive watch. You can also change out the straps for a different look. You can purchase them online. Durable women's watches? Who are the Sinn/Damasko/Bremont for women? Affordable Women's Watches What Do People Like?